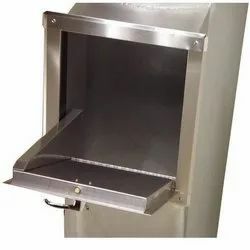 We are offeringGarbage Chute,Laundry Chute,Debris Chute,Residential Garbage Chute, Segregated Garbage Chute, Recycle Chutes, Dry & Wet Garbage Chute, Recycle Garbage Chute, Standard Garbage Chute, Standard Garbage Chutes, Trash Chutes,to our clients. Garbage chute is a Centralized Garbage Collection System provides an efficient and hygienic method of garbage disposal commercial buildings. It can be easily be installed in any duct, common lobby, landing, staircase, mid-landing, utility duct, dry balcony and kitchen. “Dry” and “Wet” garbage segregation also possible. Looking for Garbage Chutes ?